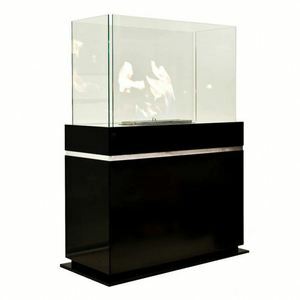 7 YRS Thermonamic Electronics(Jiangxi) Corp., Ltd.
2 YRS Jinhua Adorefires Stove Co., Ltd.
Heat safe: With a pellet stove, there's virtually no external heat while it's operating. 4. Removable ash box: it collects the ash fallen through the holes in the brazier. The temperature can be selected by users both on the panel and remote control, showing on the display. Pot Belly Cooking Stoves 1.Our wood burning stove have the modern design. 2.We have the cooking type and normal cooking type. 3.Our cooking stye have one fire eye and two fire eyes. 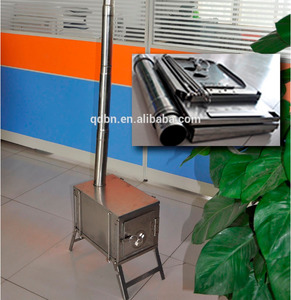 1 YRS Shenzhen Beetle Outdoor Product Manufacturing Co., Ltd.
Fire Stove Wood Burning Stove for Camping or Home Use Military Warming Stove Product name warming stove product size 52*32*53cm Material cast iron, ceramics Color gray Accessories chimney pipe, fire tongs, dustpan etc. As for any information about the sample or any specific requirements for the sample, please contact us via telephone, email or online trade manager. 4) Before-sale and after-sale service All products have been examined by our workers before packing; If the products that you receive have any quality problems, we promise to give you a satisfying solution. 11 YRS Botou City Xingda Bicycle Co., Ltd.
COPPER STOVE WOOD STOVE OUTSIDE FIRPLACE Our company can offer more than 200 different style and design's stoves. The burning material is wood ,It's easy to fire,environmental and clean. 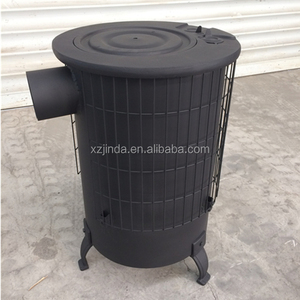 ITEM NAME WOOD BURNING STOVE MATERIAL copper,steel or iron MODEL NO XDFL9 PACKAGE 1PCS/CARTON,400 PCS /40' CTN MEAS 58*58*44 CM N.W/G. There are two electric furnace, two sand clearing machinery and two casting production line. Our factory have the ability to produce any casting products. We hope that we can cooperate with more companies in the future. 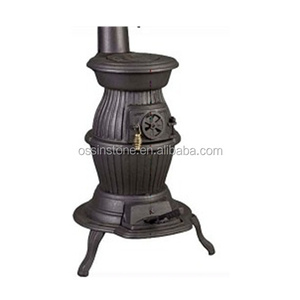 Alibaba.com offers 10,749 1 wood stove products. About 4% of these are stoves, 3% are cooktops, and 3% are fire pits. 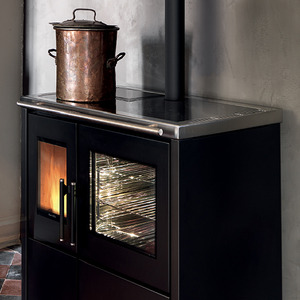 A wide variety of 1 wood stove options are available to you, such as cold rolled steel, cast iron, and stainless steel. You can also choose from wood stoves, pellet stoves. As well as from free samples, paid samples. 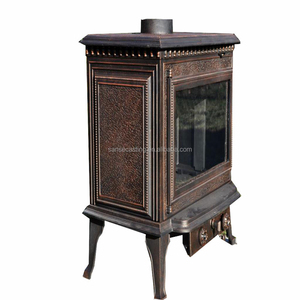 There are 10,749 1 wood stove suppliers, mainly located in Asia. 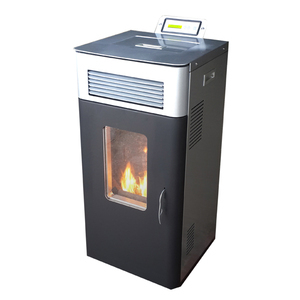 The top supplying country is China (Mainland), which supply 100% of 1 wood stove respectively. 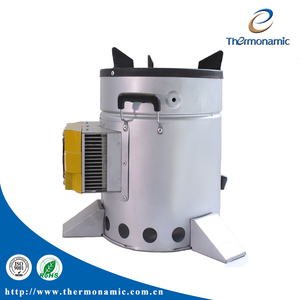  wood stove products are most popular in Southeast Asia, Western Europe, and North America. You can ensure product safety by selecting from certified suppliers, including 2,703 with ISO9001, 1,460 with Other, and 214 with ISO14001 certification.